Rated 5 out of 5 by brownsugardestin from Excellent game This game was awesome from start to finish. Great story line, will definitely recommend. Rated 5 out of 5 by Mariluz1961 from Can't stop playing. When start playing just can't stop. Love it. Rated 5 out of 5 by barbiecats2000 from Nicely Surprised I originally thought this would be along the lines of the Westward series but it's nothing like it. With that said, I am really enjoying this game. It's quite different than other building type games with the array of characters who show up that need to be dealt with. Very cool game! Rated 5 out of 5 by impulsive1 from Fun in the Wild West Enjoyable for passing the time. My sons love the theme of the game. Nice level of strategy mixed with time management. Not too easy and not too hard- just right. Rated 5 out of 5 by ironic_beauty197 from Fun New Twist on TM Games I've played TM games for years and this one is certainly worth buying. Similar to Build-a-lot games, but with much more of an adventure aspect. The twist is that not every level is building but instead you find hidden treasures, pay off "bad guys", capture wolves & bears, and save the main characters son. There are many levels and took about 15 hours to finish. There is replay value and the levels aren't overly challenging. The graphics are simple but bright which I like. The only thing I would have a complaint about is that the Banner/Icon graphic isn't appealing and doesn't seem to depict the game accurately. Overall I enjoyed this game very much and would recommend it to anyone that enjoys TM & town building games. Rated 5 out of 5 by James0213 from GREAT GAME I LOVE THIS GAME, I have so many medical problems that it is hard for me to beat any time management games until now. This game is so easy and fun for me. I cannot tell you how many times I have played this game. I love the music and graphics. I think this is the best game I purchased so far. I hope you get more games like this one. Rated 5 out of 5 by SMcKinney13 from A fantastic building game The storyline grabbed me from the first level. The levels had great goals. The continuing storyline really made the game special. Rated 5 out of 5 by 122395 from Great Game!! Loved this game...not too hard or too easy...I hope they make more like it!! 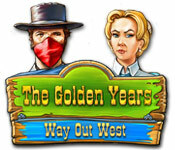 Rated 5 out of 5 by pridon from The Golden Years: Way Out West Wow! Havn't played such an interesting game for a looong time. First I've got a bit confused about the screenshots, but actual game looks much better. I rly like that "wild west" atmosphere. The levels are kinda challenging, but very interesting though. You really have to think while playing. Took much time passing level 16, but I did it, haha! If you'll get stuck there, I can give you some tips ? Rated 5 out of 5 by PotterNut from This game is awesome! I completely loved playing this game. For those of us that enjoy playing adventure games, this game was a real pleasure to play. It was not that easy and the challenge added to the fun. Once you got the hang of the game play, I found that I was lost in it. I have completed the game with only a few levels that did not meet the "expert" tag. I hope we get more games like this one from the developer. Thanks for the fun Big Fish! Rated 5 out of 5 by terry1921 from Lots of fun I like games that are a challange without being overwhelming. This is it. 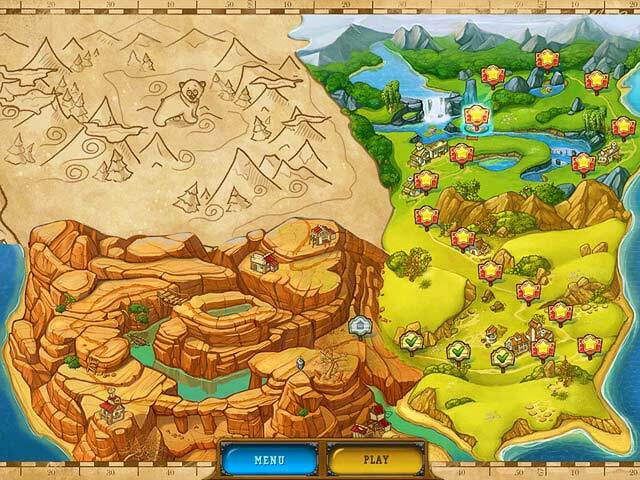 Lots of variety, it moves along well and each level presents a somewhat different challange. It's a good length, not too short, but short enough so I don't feel like I have to make a job out of playing it. I really liked it and would put it in my top ten percent of all time favorites. Rated 5 out of 5 by TimTam85 from Great game! This is a really good game. I only really got stuck on two levels the rest were fairly straightforward. the graphics are lovely and the voices are great. I like the form of progression they use as well. All in all a very highly recommended game. Rated 5 out of 5 by cb1966_de from The Golden Years I like the game. 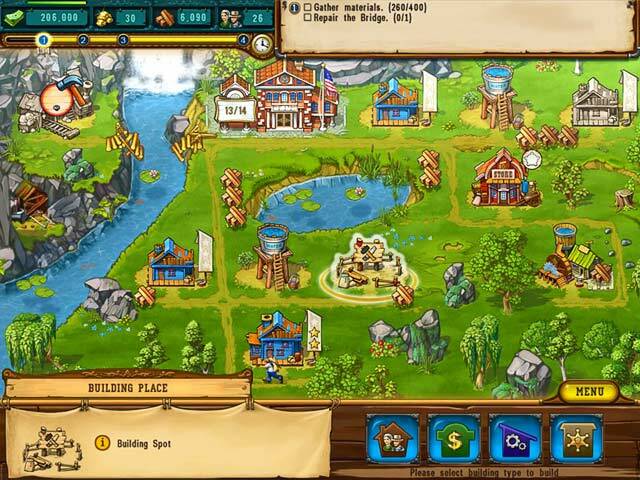 It is different to the other building management Games. A bit more to think where to build what . Is in some part also a stategie game. Rated 5 out of 5 by FishWorker from Nice game 1. Cute, cartoon like art. 2. Nice gameplay. 3. Easy system of stages. 4. Especially liked the music. Rated 5 out of 5 by NikkiBikki from Fun Time Management game! Loved this game, was really fun, if you like My Kingdom for the Princess type games then you will most likely love this too. Enough of a challenge, but not so difficult as to be frustrating. Rated 5 out of 5 by natalusia85 from Great Game Definitely a buy for me. Its fun and a little challenging. Graphics are pretty good. Finally a Time menagement game on BigFish. Thanks! Rated 5 out of 5 by wildhartz from Refreshing Finally a game worth buying. I love the story line and the characters. This game will not disappoint you, a must have for people who like building and strategy combined. Rated 4 out of 5 by cinjam1997 from Great game, but not very challenging This game is a lot of fun but if you are looking for a challenge, this is not it. Rated 4 out of 5 by grunny50 from Absolutely loved this game! Playing it again for the third time. 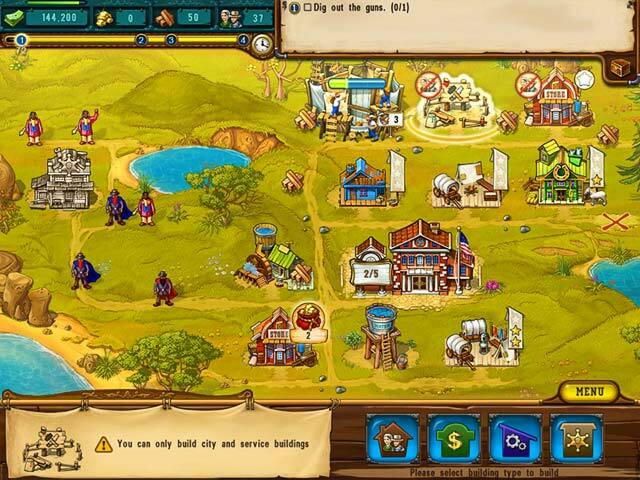 This one is charming in storyline, scenes, HOs, shooting bandits that pop up, finding sheriff's badges, etc. I'm so glad I got this game because I have really enjoyed it. Rated 4 out of 5 by Cyprus_Lotus from Great visuals Visuals were really good on this and the story line is good too. Gameplay is fun and quite addictive, although some of the levels weren't too challenging. Thanks to the person who advised about level 22. Really helped me out. Rated 4 out of 5 by Bradymag from Addicted I love this game. I am having a lot of fun. There are a couple of scenarios where I can't figure out how to win the Expert level which is a little annoying. If I know how, but need to develop skill I am fine with that. This one, though, has levels where it just doesn't seem possible to get the expert rating. I will keep trying though because it is fun. I wish there were more games as fun as this! Rated 4 out of 5 by girlrock398 from Liked it! I really liked this game, however, I was disappointed in the amount of play time that you really get out of it. It seemed like it got easier rather than harder, which any fan of time management games knows that isn't any fun! The graphics also could have been much better. All in all, I had a fun time playing it and wished there were more levels or at least more challenging levels. I'd buy another if they come out with a sequel. Rated 4 out of 5 by lindiana from Cute Little Game Worth the money. Over 40 levels of game playing fun.